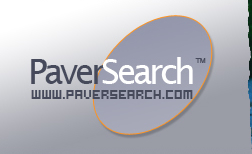 Post your Publication FREE on PaverSearch.com. 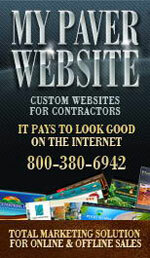 PaverSearch.com provides a directory of Industry related Paving and Landscaping Publications for your viewing pleasure. Click on the links to visit their respective web sites. Found 15 publication(s). Displayed from 1 to 5 publication(s). Architecture Magazine, VNU Business Publishing, USA, Inc. penetrates and enlightens the architecture industry with print, face-to-face, and online information. VNU eMedia enables VNU Business Publishing, USA, Inc. to publish in the fast-paced online market. Every month, Concrete Products covers the issues that attract producers of ready mixed and manufactured concrete. With an editorial focus on equipment and material technology, market development and management topics, Concrete Products helps its subscribers thrive. Concrete Products subscribers are primarily management and production professionals in four categories: ready mixed, pipe and precast, block and paver, and prestressed. Professional Trade Publications (PTP) is a family-owned publishing business dedicated to nurturing quality craftsmanship in the construction trades. Founded in 1999, it is located in Eugene, Oregon. Sunset Magazine is a leading consumer based magazine that provides nationwide distribution of it's award winning publication. Sunset Magazine features a wealth of information for home owners covering a wide array of ideas, news, articles and products for the home garden. The Construction Specifier is a leading magazine for Contractors, Builders, Specifiers, Architects and Developers alike, with periodical releases on all the latest industry news and events.